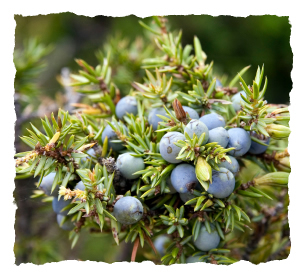 What is Juniper Oil ? 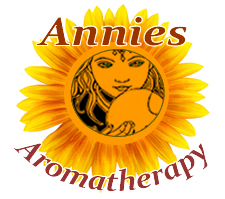 Juniper berry essential oil has a fresh green, woody, balsamic aroma and is pale yellow in color. It is distilled from the dried ripe berries. Juniper is known for its stimulating properties for the skin and circulation, yet has a sedative, relaxing action for the nervous system. It is helpful for anxiety , and as a antiseptic, it is ideal for acne, or skin problems. Juniper berry essential oil blends well with the oils of cypress, and pine, as well as cedarwood, rosemary, black pepper, clary sage, orange, or other citrus oils. Juniper makes a refreshing bath oil and it's astringent action makes it a good skin toner. Mixed with citrus, it's a great room spray, or use in a massage oil to increase circulation. Blended with rosemary and lavender makes a good blend to relieve tension headache, and it can be used as a massage oil, in a bath, or aroma lamp. The juniper berry essential oil should only be used externally. Do not use during pregnancy or if there is kidney disease. Juniper closely resembles cypress, and like cypress it is valued for its detoxifying action on the body. In addition juniper berries can help clear congestion so are often included in herbal tea cold remedies. Botanical Information - Rituals & History : Juniper trees and shrubs belong to a variable genus of about 50 species, many of which are planted as ornamentals. Juniper was burned as incense and was one of the many aromatic shrubs thought to ward off evil spirits. It was used in Tibet for both religious and medicinal purposes.